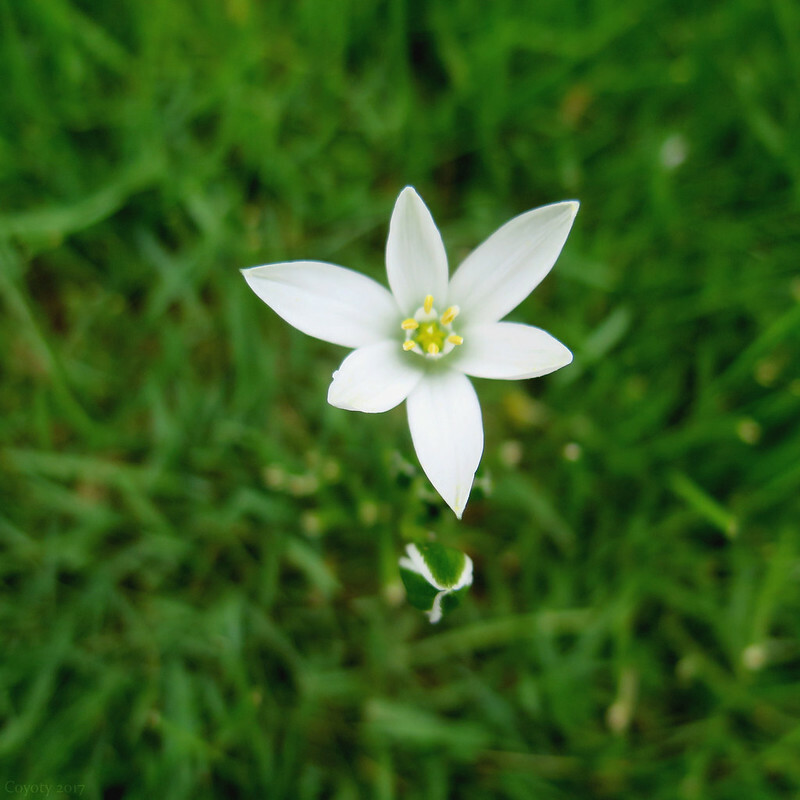 Ornithogalum umbellatum, also known as grass lily, nap-at-noon, and eleven-o'clock lady. Originally a cultivated garden plant, now gone feral in New England. There are two flowers shown, one open and one closed. At the Connecticut State Colleges & Universities offices in Hartford, CT.